Well done to our U13's who defeated Moyle Rovers in the Semi Final on Monday last on a scoreline of 4-1 to 1-1. 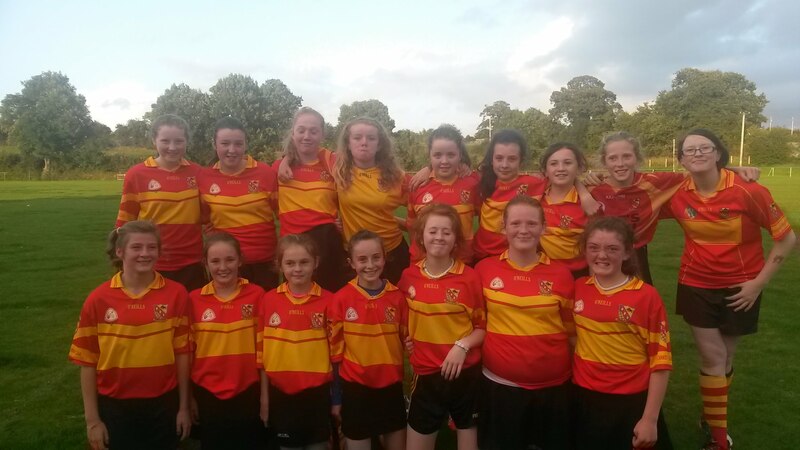 The girls now progress to the County Final where they will play Fethard on Monday next 18th August in the Ragg Camogie pitch starting at 7.15pm...Best of Luck girls! All support appreciated! U13 Team members: Tasha Tully, Kate Sheridan, Amy Cummins, Clodagh Fallon, Siobhan Carroll, Amy McGovern, Aoife Walsh, Kathryn O' Meara, Aoife Ryan, Michealla McKelvey, Roisin Donnelly, Zoe McKenna, Zoe O' Meara, Leah Walsh, Emma Dowling, Emma Shelly, Lauryn O' Sullivan.